A gum graft can repair a variety of dental issues, including gum recession, gum disease, and cosmetic concerns. Dr. Davey Crockett can perform a wide range of gum grafting techniques to address many dental needs. He uses advanced technology to ensure that you experience a comfortable procedure with minimal pain and recovery time. Our Richmond, VA, office team has helped many patients achieve their cosmetic and restorative dental goals. Depending on your specific and unique dental needs, we can provide a range of gum grafting techniques that can achieve different results. This very common type of graft treats root exposure, or receding gums. This method uses connective tissue from under the roof of your mouth and places it in the area of the exposed root. This procedure is very similar to a connective tissue graft, except that instead of harvesting tissue from under the flap on the roof of the mouth, the harvested tissue comes directly from the surface of the roof. Dr. Bousaba uses the latest technology to minimize pain and discomfort when performing gum grafting procedures. A pedicle graft uses tissue from around or near the tooth that needs to be repaired, instead of harvesting it from the roof of the mouth. This procedure is ideal for patients who have sufficient gum tissue around the area being treated. Why Choose a Gum Graft? To reduce sensitivity associated with gum recession. When the gums recede, more of the tooth root is exposed to varying temperatures, causing dramatic tooth sensitivity and discomfort. By grafting tissue over the tooth root, patients can look forward to improved protection and less sensitivity. To restore periodontal health. Periodontal disease can progress rapidly if left untreated. 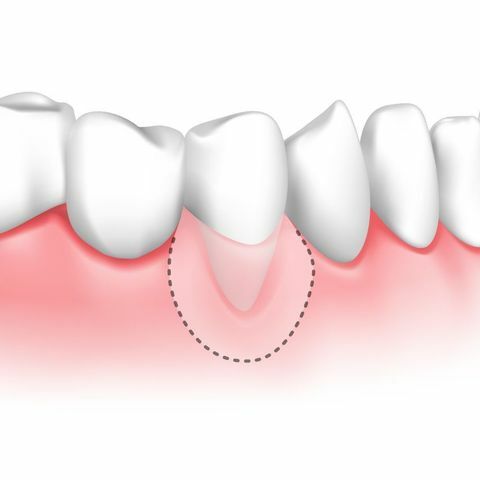 Gum grafting can restore healthy tissue to areas that have been damaged by gum disease, which can also help prevent future bone and tooth loss. To improve the appearance of your smile. If patients are experiencing gum recession, it might also make your teeth appear longer than they actually are. Gum grafting can restore the natural and attractive appearance of your smile. Patients who have suffered tooth loss could benefit greatly from dental implants. However, in order to accommodate the titanium posts within the jaw, the patient must have healthy gum tissue to provide support. Gum grafting can restore the health of the gums so they can snugly accommodate the implant post. Dr. Bousaba uses the latest technology to minimize pain and discomfort when performing gum grafting procedures. Whether you want to improve the appearance of your smile or heal periodontal disease and gum recession, please contact our office online or call us at (804) 282-2990 to schedule a consultation.